All About the Forest Stewardship Council (FSC)? 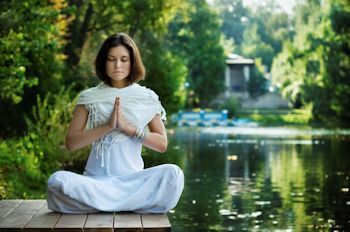 A “green” movement is sweeping the nation and the public is becoming more and more aware of how individual carbon footprints are slowly taking their toll on our planet. It is estimated that over 50% of the world’s forests have already been destroyed. There have been a slew of “Save the Rainforest” campaigns parading around since the 1960′s, but no non-governmental campaign has taken the hardwood flooring industry quite by force as the Forest Stewardship Council (FSC). It was 1993, after a less than productive 1992 Earth Summit, that the FSC was established. Global deforestation was becoming a major issue. The main idea in creating the FSC was to basically set some standards for the use and care of the world’s forests. This is a not-for-profit organization which operates internationally and boasts members from all over the world on both an individual basis as well as those representing large groups and corporations. Currently the FSC headquarters is located in Bonn, Germany and the organization is constantly striving to create universal guidelines, fair certification parameters and standards for responsible forest management — from huge rainforests to privately owned plantations. A huge part of the responsibility taken on by the FSC is not just that of the forests themselves, but also that of the life in and around the forests. Animal populations, workers inside the forests and surrounding communities are all taken into consideration; and principles are created and tweaked accordingly. Also stated on the FSC website are their 10 principles, which they use to execute their mission statement. These principles tackle everything from abiding by local governments’ laws to efficient use of the forest and its resources to required monitoring of foresting practices. The FSC principles come together to create an umbrella package covering the full spectrum of environmental, social and economic issues. The FSC boasts their organization as being completely open, voluntary and member-run. When an individual or a representative from a group chooses to apply to be a member of the FSC, they apply to a certain chamber: Environmental, Social or Economic. These chambers are further broken down into northern and southern divisions. All members of the FSC can attend the meetings held every three years and every member has a vote. Votes are weighted so both the northern and southern divisions have 50% influence. Aside from this General Assembly, there is also an Executive Director, who reports to the FSC Board of Directors. The FSC Board of Directors includes three elected officials with an option of up to two additional representatives from each chamber (environmental, social, economic) of the General Assembly. There are two types of FSC Certifications: Forest Management Certification and Chain of Custody (CoC) Certification. Apply for either certification is completely voluntary. All applicants looking for certification need to be inspected by an independent FSC accredited inspector. There is an annual fee for individuals and groups which are certified and they, of course, need to keep up continued compliance with the FSC principles and regulations. According to FSC statistics, almost 175,000,000 acres of forest in the United States and Canada are certified. Additionally, almost 4,500 companies in the United States and Canada are Chain of Custody Certified. The FSC knows that if a forest isn’t profitable for an owner, there’s a greater chance of that forest being destroyed in favor of other, more profitable land uses. Therefore, the organization does strive to provide beneficial services to their certified individuals and organizations. Certification can definitely increase profitability for a forest owner: efficiency improves, contracts are more stable as are credit agreements, and public image is enhanced. 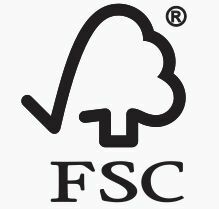 Once an individual or organization becomes certified, they can use the official FSC trademarked logo on any products coming out of the certified forest. This logo is instantly recognized within the hardwood flooring industry and adds to manufacturer’s reputation. While homeowners don’t deal directly with the forest their hardwood flooring comes from, they still have a choice when it comes to buying hardwood procured through sustainable methods. Many of the top manufacturers of hardwood flooring in the industry today make a conscientious effort to choose responsible suppliers to get their raw material from. Hardwood flooring manufacturers, although not typically working in the forests the raw material comes from themselves, can become Chain of Custody (CoC) Certified. Information on sustainability and certification for each hardwood flooring brand can typically be found on that brand’s website. Our favorite hardwood flooring brands sporting the FSC Certified stamp are: Award Floors, Baltic Hardwood, Cikel Exotic Flooring, Harris Wood Floors, IndusParquet Exotic Hardwood, Lauzon Wood Flooring, Mannington Wood, MooseWood Hardwood Flooring, Muskoka Flooring and Owens PlankFloor. If a retailer or hardwood floor manufacturer is vague as to where their raw material is coming from, chances are it’s not coming from a certified forest. In recent months, according to The Wall Street Journal and Hardwood Floors Magazine, Lumber Liquidators has been the focus of much political and environmental scrutiny for their alleged involvement in importing illegal wood harvested from Russian forests which are home to endangered animal species. Lumber Liquidators supposedly knew about the origins of the hardwood flooring they were selling to consumers and had little motivation to stop shipments probably because of the profit they were making on the material. Working with materials that have come from an FSC Certified manufacturer and/or forest guarantees that your material is coming from a legal source. It also ensures that you’re using hardwood harvested from a sustainable and renewable source. Many eco-aware homeowners mistakenly think that real wood flooring is not really a “green” building material. But in actuality, when you buy from an FSC certified source, you’re helping to protect the environment by adding your support to the continued replanting and regeneration efforts around the world. This entry was posted on Thursday, October 24th, 2013 at 9:14 am	and is filed under Green Hardwood Flooring, Hardwood Flooring Manufacturers. You can follow any responses to this entry through the RSS 2.0 feed. You can leave a response, or trackback from your own site.